Another succesful weekend for our handsome Finnish boy Vilho! I received HAPPY NEWS from Nina, Vilho´s mum:)! 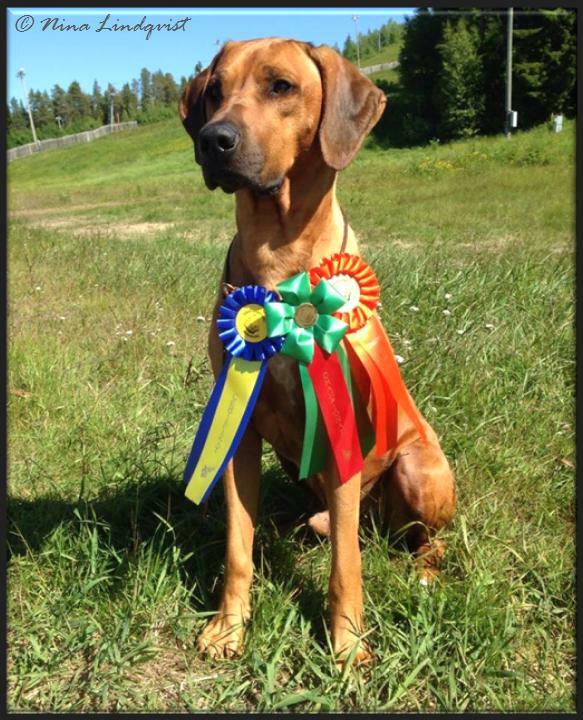 At the International Dogshow in Piteå, Sweden Awena´s son Vilho managed a CC win:)! EXCELLENT 2, CQ (Championquality) BEST MALE 2, CAC, R-CACIB!!! This makes him Swedish Champion!!! 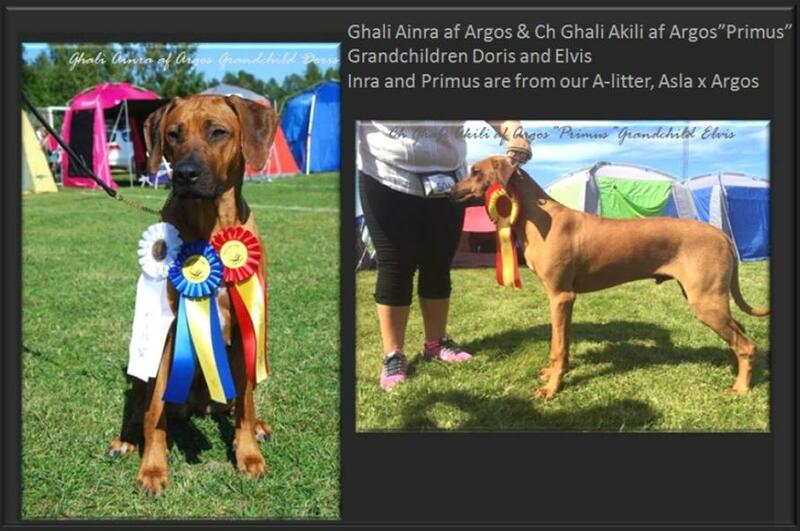 INT CH, FI, S, EE, LT CH, S T CH Ghali Grand Cinamon "Vilho". This weekend we also had a couple of grand- kids hitting the rings:)!